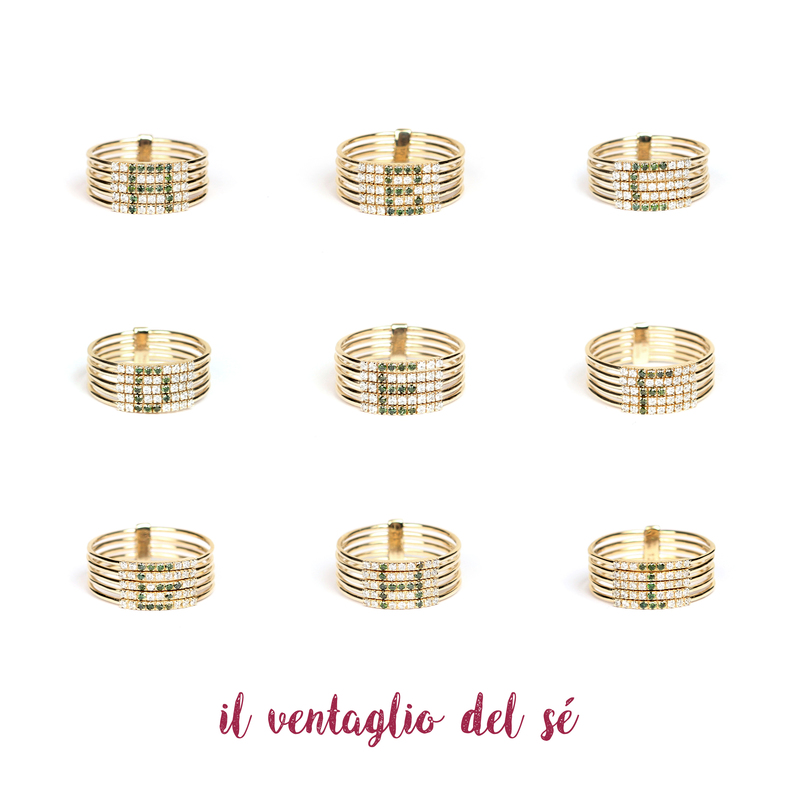 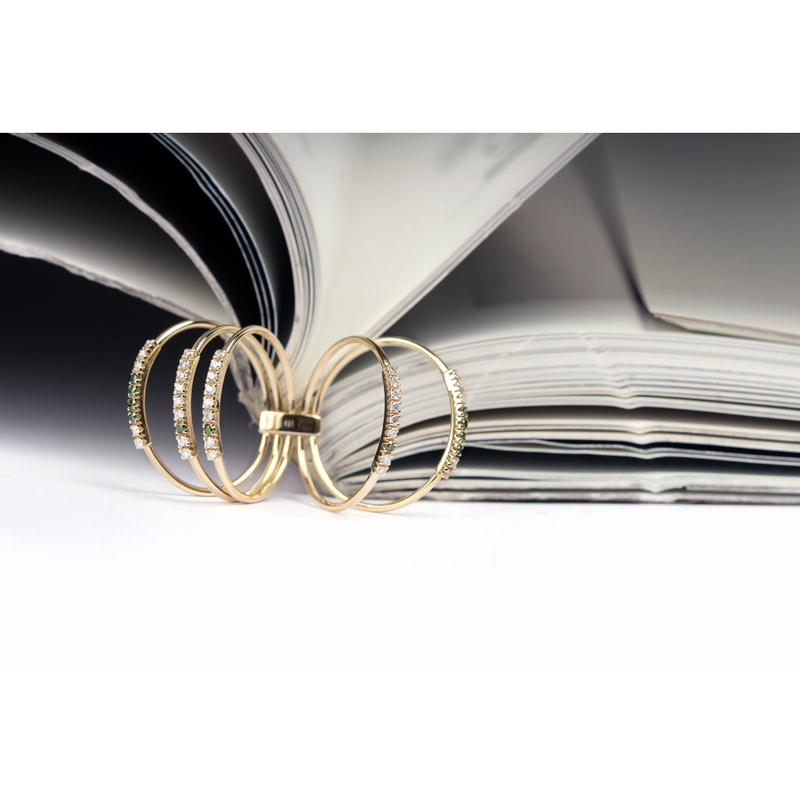 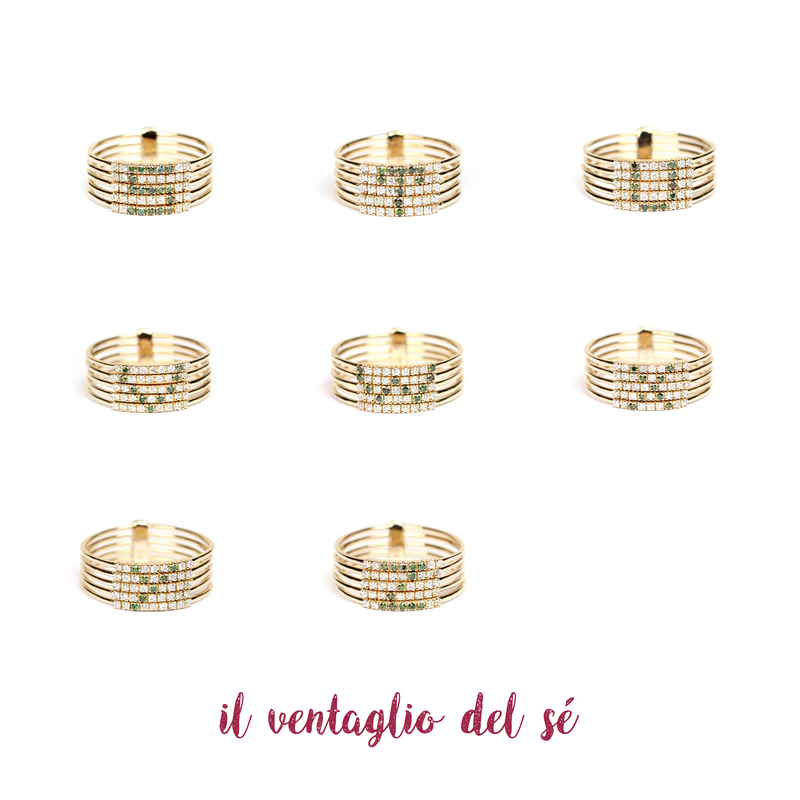 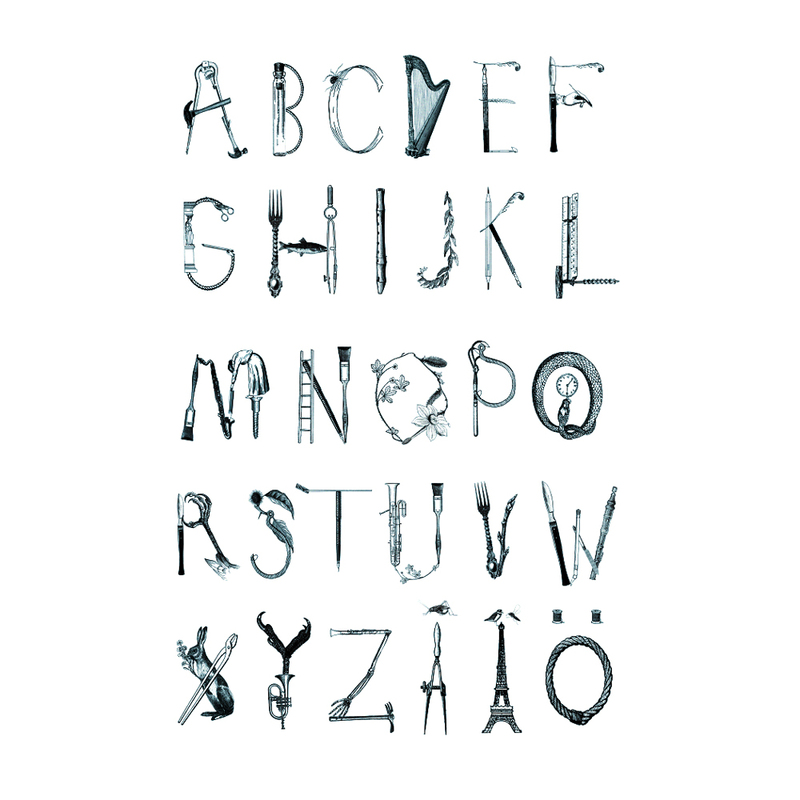 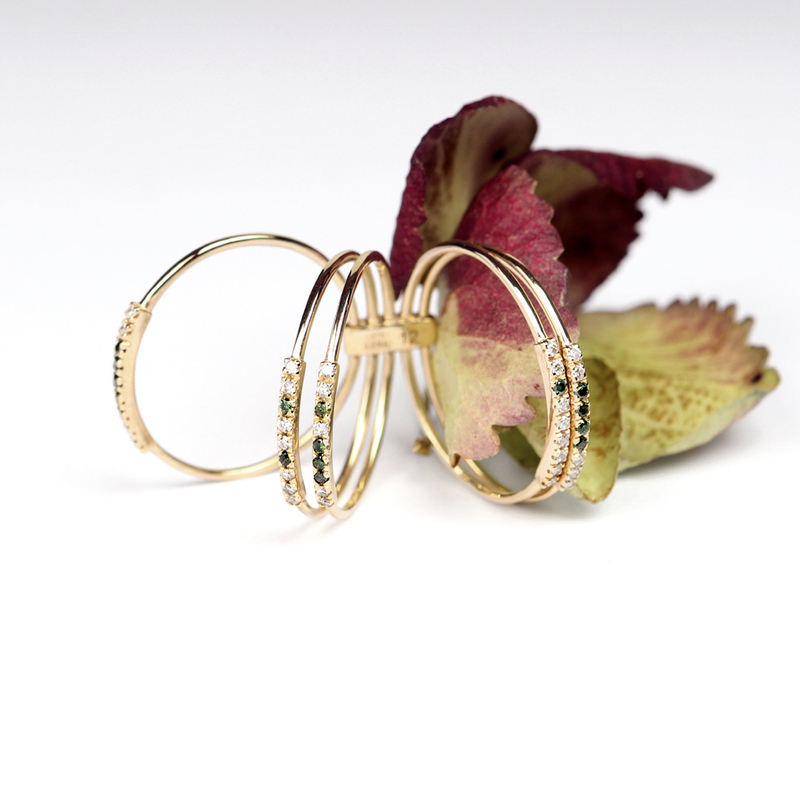 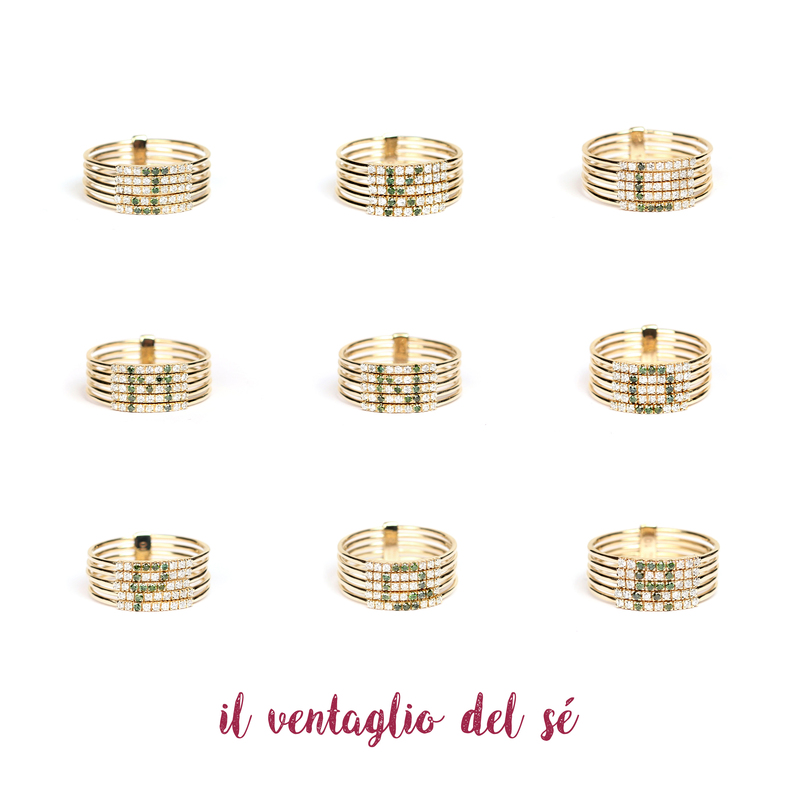 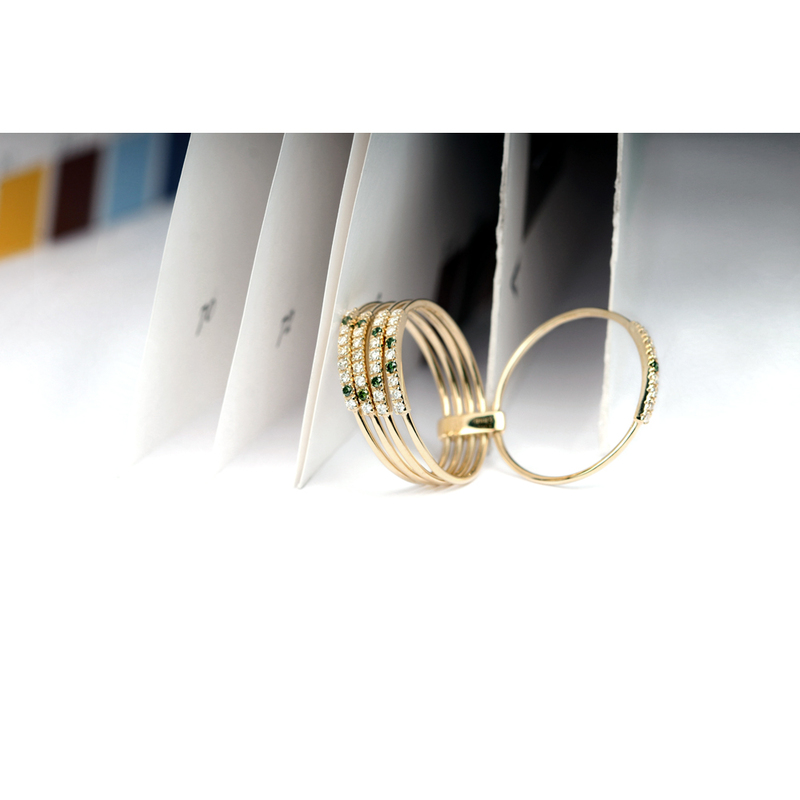 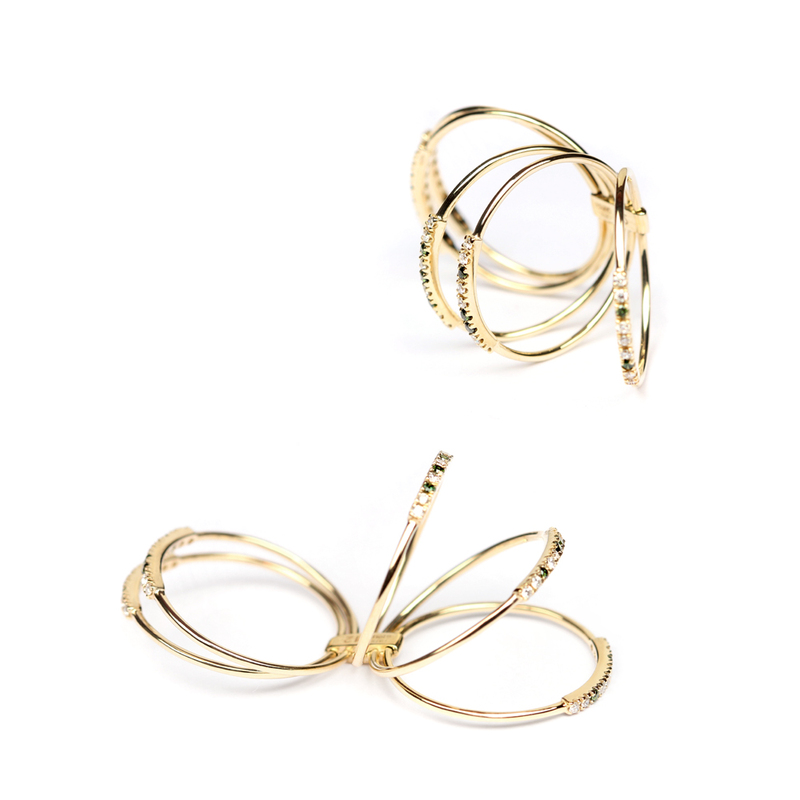 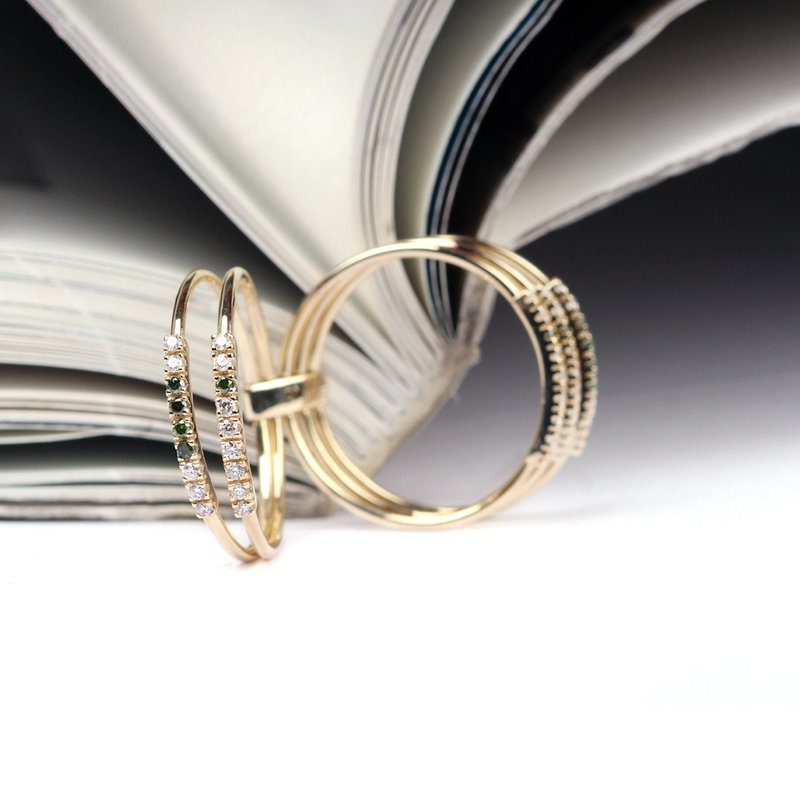 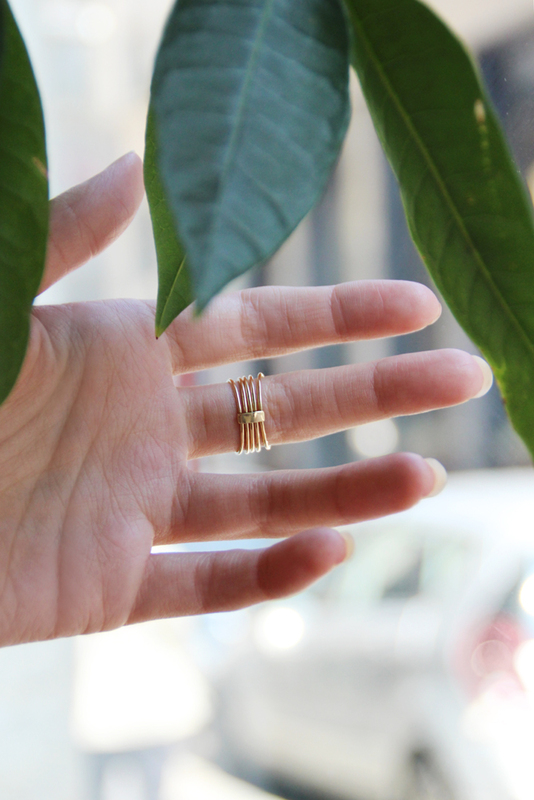 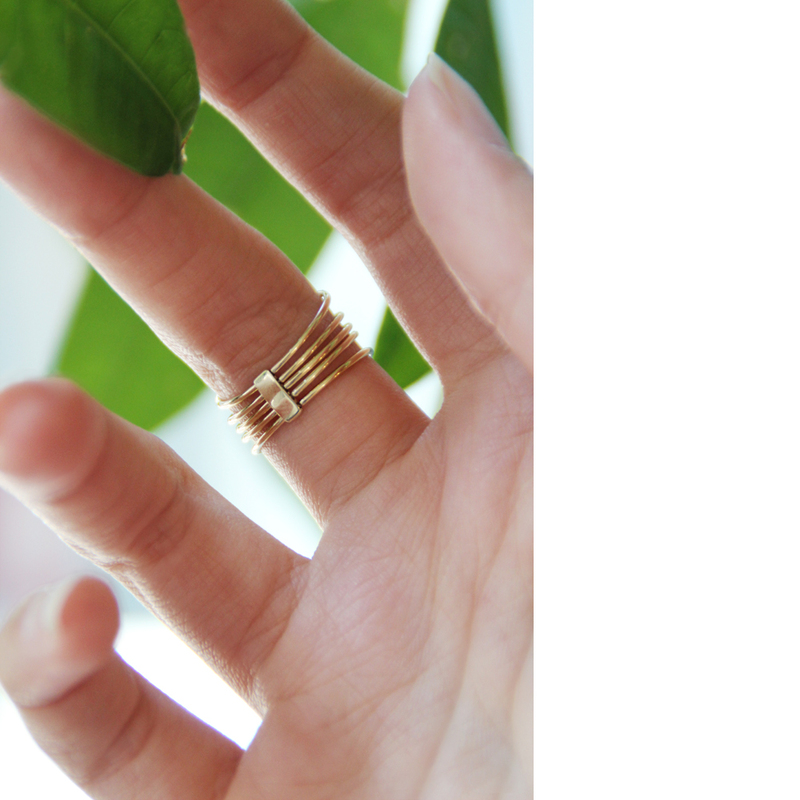 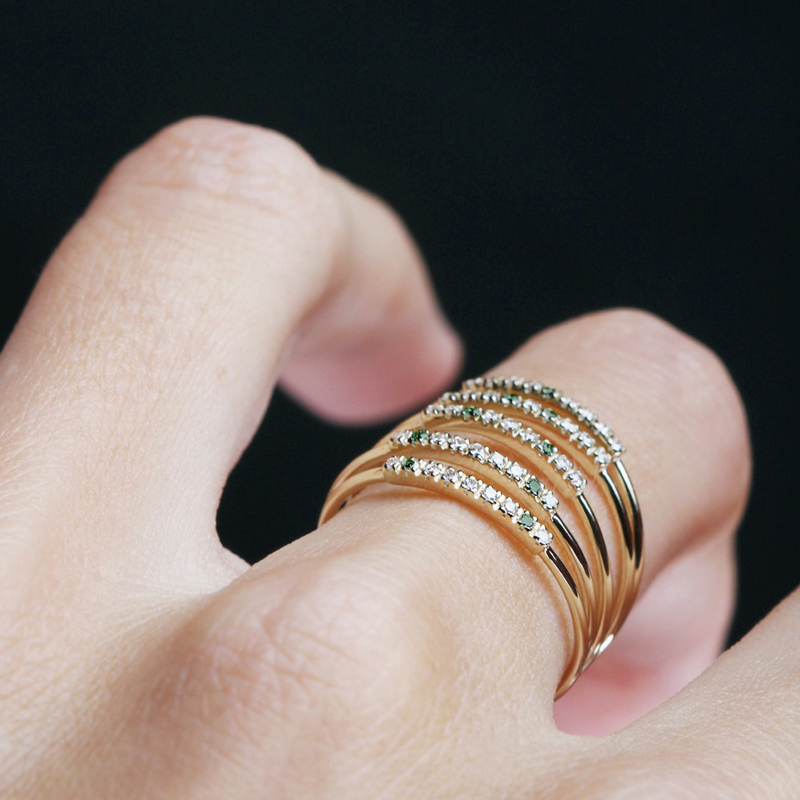 Gentle ring made up of five dancing linked stacked rings, customized with the initial of your soul. 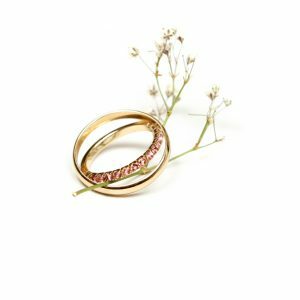 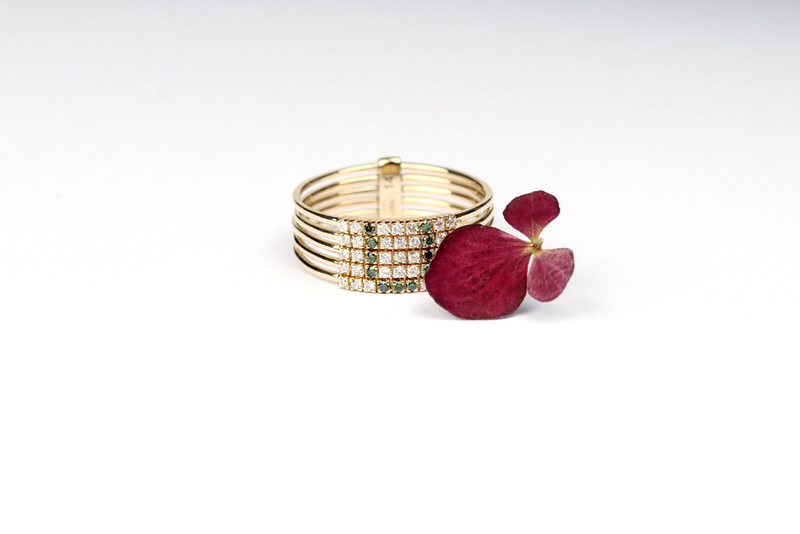 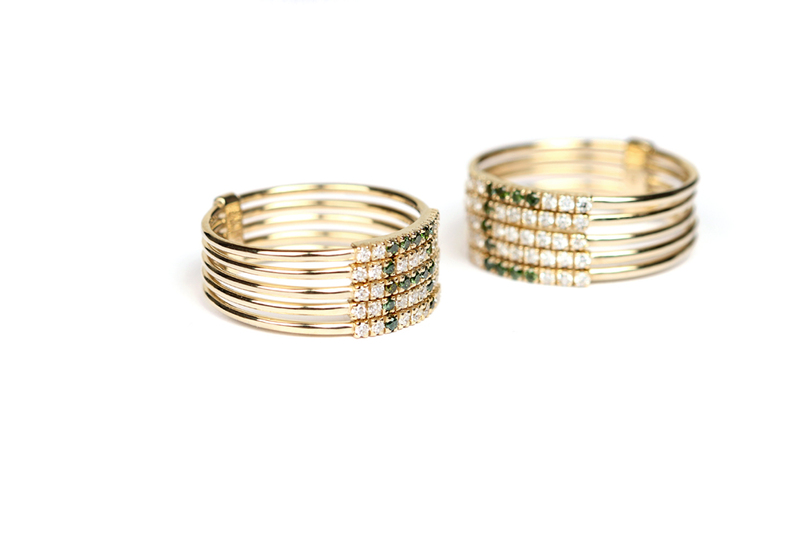 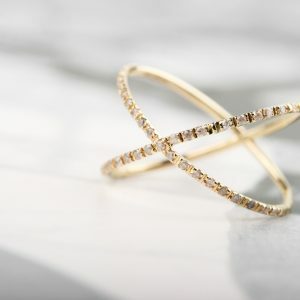 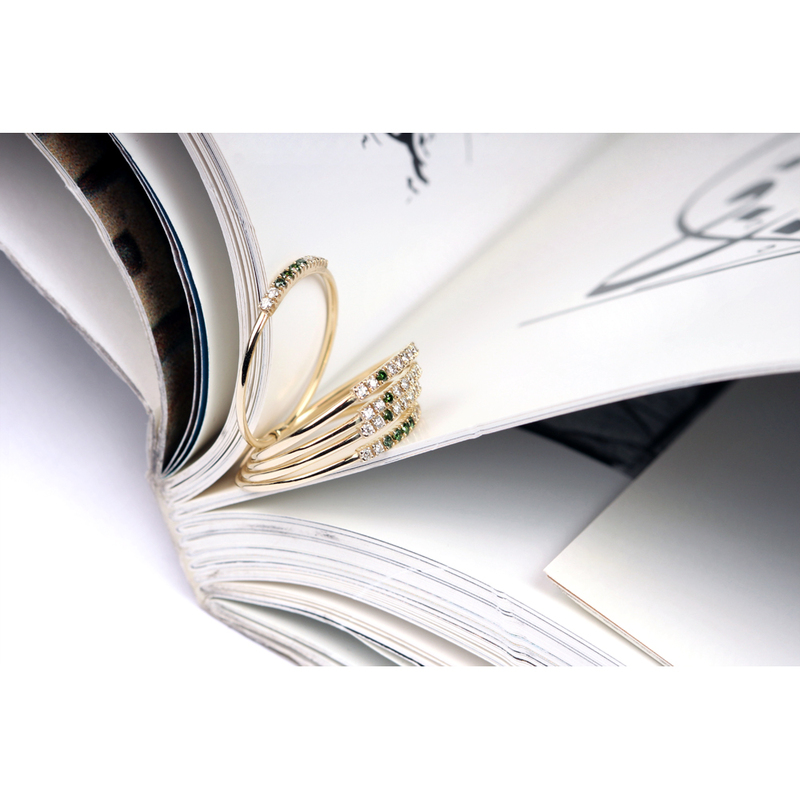 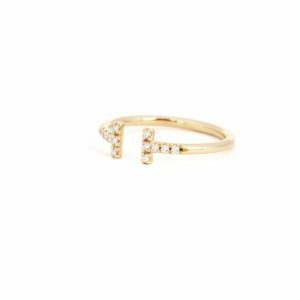 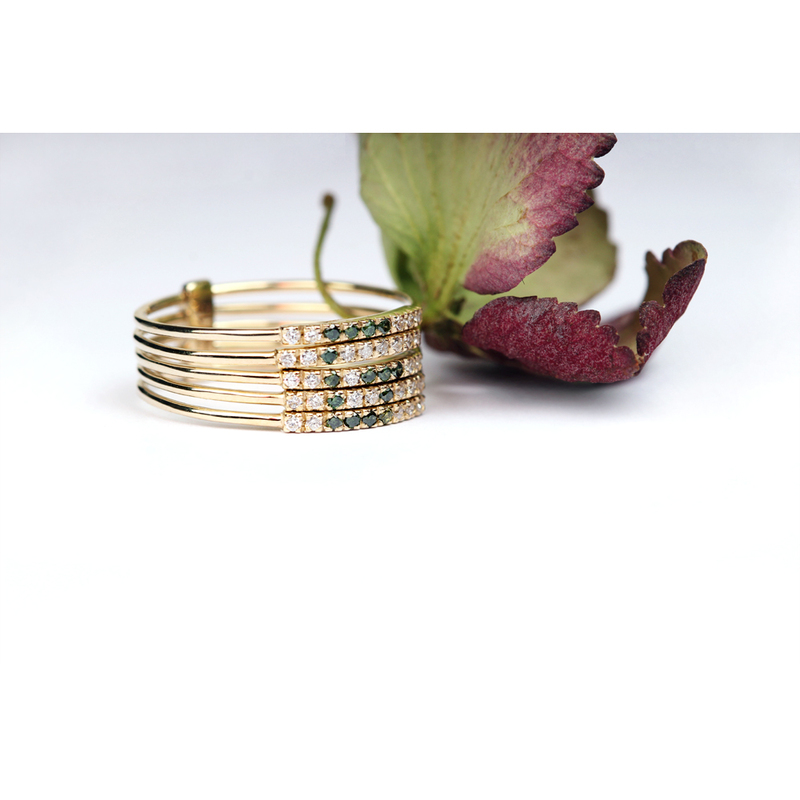 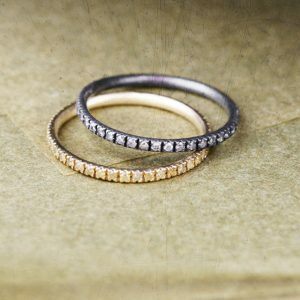 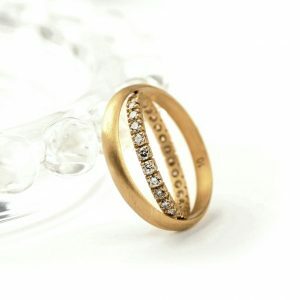 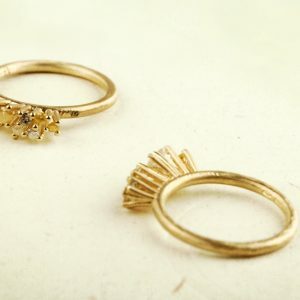 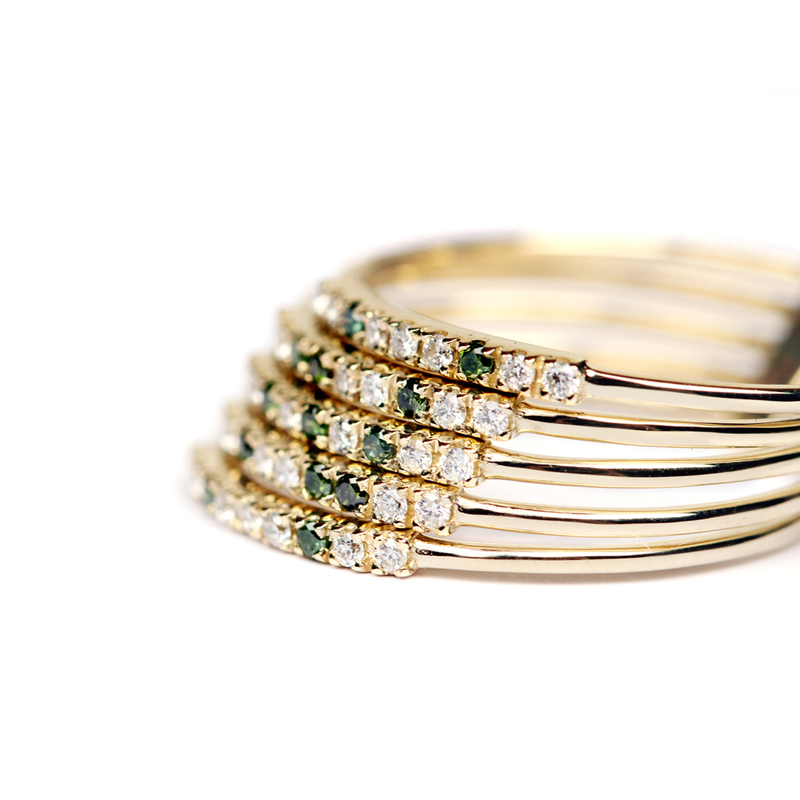 Entirely handmade of 9k polished yellow gold and brilliant-cut diamonds. 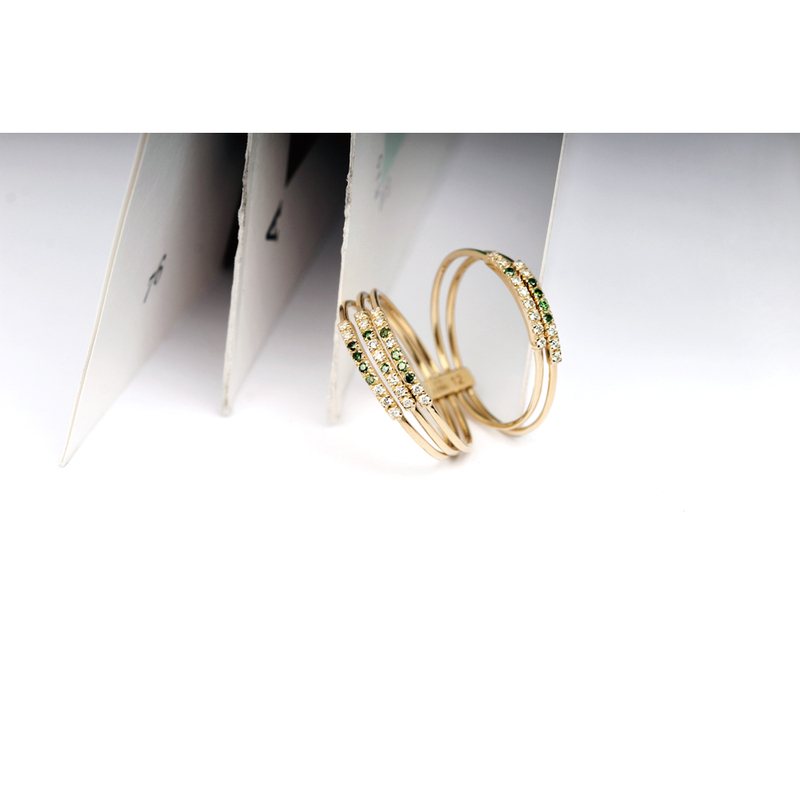 The letter is highlighted with forest green diamonds on a bright white diamonds’ scenery. 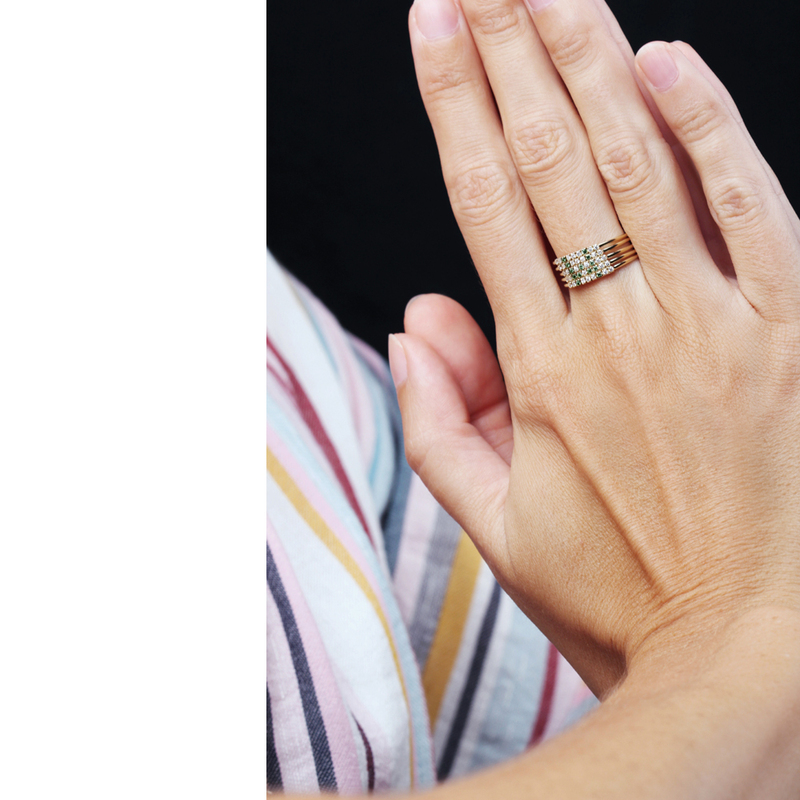 Please, be aware your finger size is proper.